Thinking about Leasing a Mazda, Need Advice! I am in the market for a new car, I am thinking leasing might be the best way to go about it. At first I was going to buy something in the 10-12k range but after looking for months and only stumbling on boring or excting/high mileage cars in that price range, I cannot find anything that is, Reliable, exciting and in my price range in my area. My dad and uncle who both have leased many cars over the years kept telling me to check out leasing a car instead of buying it so I did and I have to say I am thinking more and more about going that route. What I have researched about leasing is that the major downfall is having to cap your mileage each year And you don’t ever actually own the car. Personally the whole owning the car thing isn’t a big deal to me because in another 3 years hopefully I will be getting paid more and be able to actually get something more luxurious and exciting. 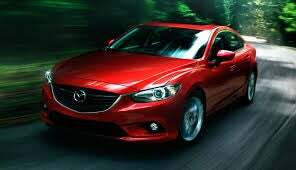 Right now Mazda is running a lease deal with 2k down your payments are only 200 a month at around 12k miles a year. I would have to add a couple thousand miles to the lease I think to be safe but overall it seems like a good deal. Do any of you have any advice, experience, advantages, disadvantages for leasing? EDIT: I also checked the leases for an Accord and a Legacy but the Mazda seems to have the most equipment standard and it looks the best.